Uniquely located 2 bedroom beachfront bach. Step out onto the sand at Cable Bay lagoon. Safe swimming and environment for children. Walk around the rocks to Taipa, or drive (5 mins). Eat at the great restaurants in Mangonui (10 mins drive). Boat ramps handy. 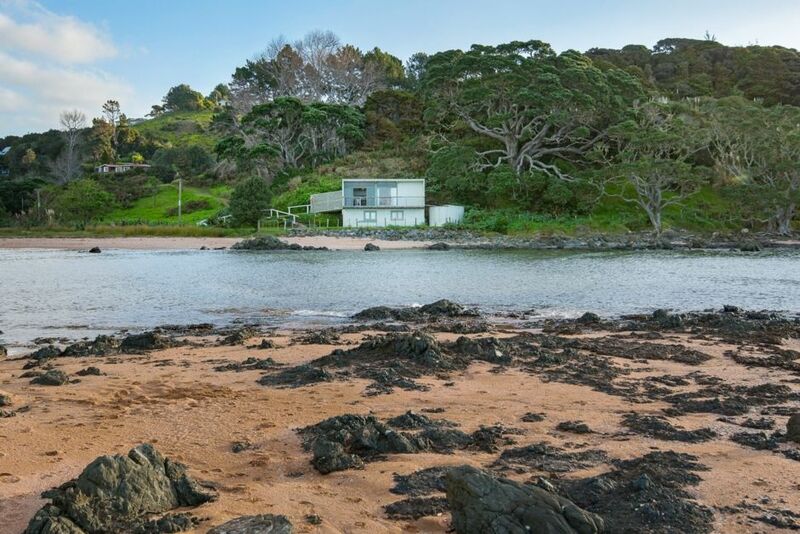 Great base for a holiday in Northland or a weekend away. Magnificent views from every room. Minimum stay 1 week high season, 3 nights other times. Rate is for 4 people per night, additional persons $25 per night each. Due to the single toilet/bathroom and number of adult beds, occupancy is limited to 4 adults plus 2 children. Top bunk is difficult for our housekeeper to make as bed, duvet provided or bring your own sleeping bag. Slice of kiwi heaven in god's own! If you are looking for the perfect kiwi bach look no further. This is it! Couldn't get a better location - literally next to the beach in a very special position. Full of original fittings - perfectly comfortable for a beach getaway. Kitchen stocked with all the basic equipment, and old favourite books and games also included. We had a wonderful stay. We loved this iconic bach with it's panoramic views and feeling of being transported back in time. It is very comfortable and a great place to relax and recharge the batteries. It is handy to many beaches and attractions but we somehow never felt the need to venture far as we loved everything that was local. The framed history on the wall is fascinating and we would have loved to know something of the recent history Can't praise it highly enough and we would go back in a heart beat. Great location and nice unit. Can not beat the view and access to the beach. Will stay here again if I am back in area! Our family loved this wonderful batch right on the beach. Our family loved this wonderful batch right on the beach.Great for the little kids with safe tidal inlet right in front of the the house.Everything is so close and easy.We loved just sitting out on deck and soaking up the ever changing views watching the world go by. This is a typical kiwi bach but that's where the norm ends.